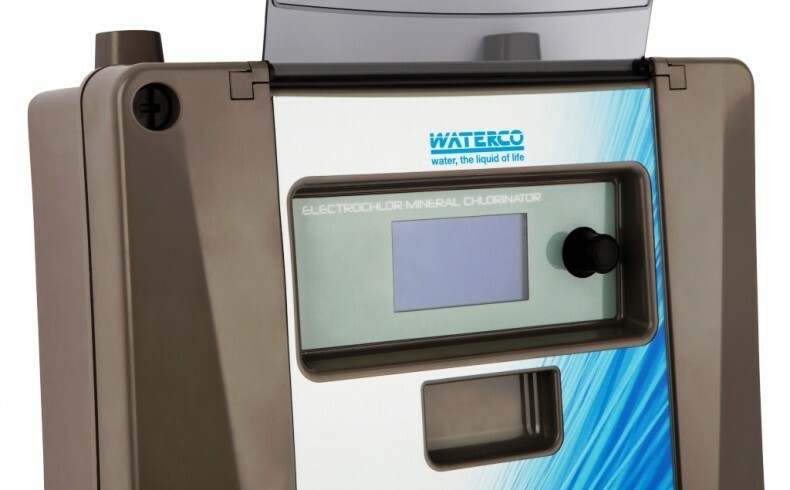 Waterco’s new energy saving Electrochlor Mineral Chlorinator makes swimming pools smarter by automatically operating filtration and auxiliary equipment. 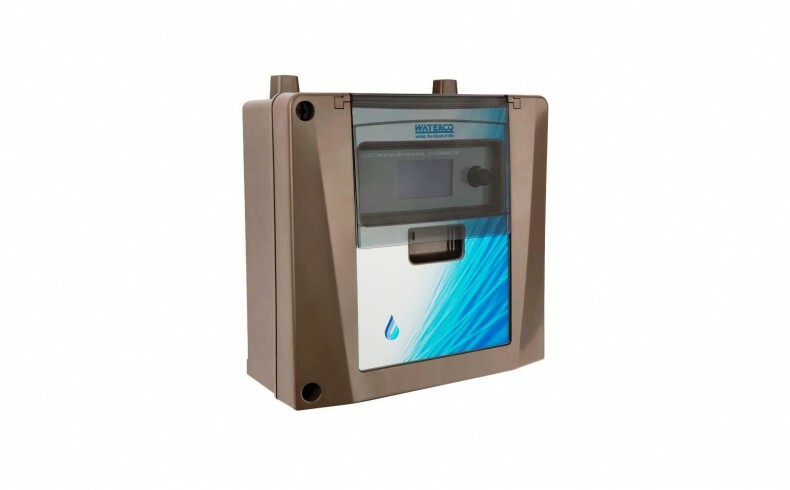 It features four intelligent, independent timers that control the pump, pool lights and auxiliary equipment from one easy-to-use unit. 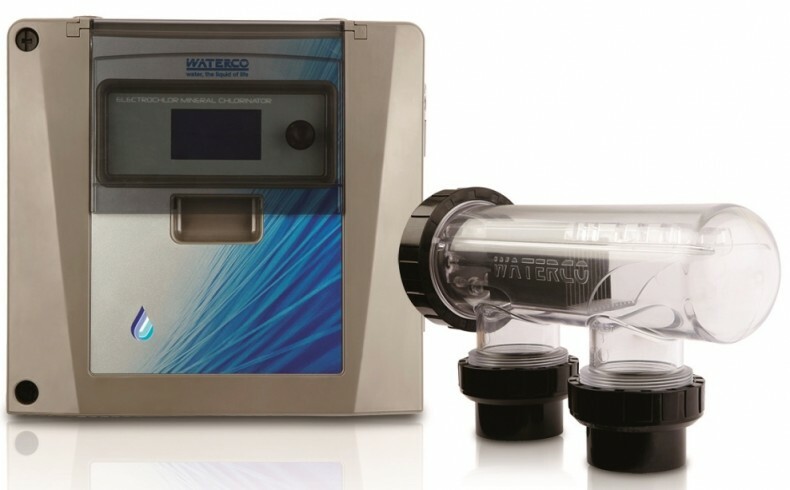 A chlorine generator’s primary function is to produce chlorine for the pool, which is essential in preventing the recurrence of algae and bacteria. Electrochlor not only activates equipment like variable speed pumps but also enables you to control their speed. 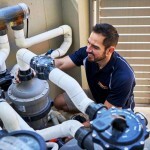 You can set the pump to low speed during filtration to maximise energy savings; or manually activate it during a pool service or backwashing. Moreover, Electrochlor timers can be programed to activate equipment commonly associated with swimming pools. 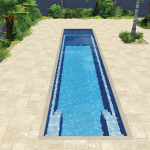 You can schedule it to change the speed of the pump in conjunction with an actuated valve to activate a water feature or pressure cleaner; or just program its secondary power outlet [GPO] to turn on the pool lights. 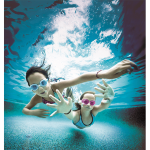 Electrochlor includes a sensor to monitor and display pool water temperature, which is also used as a reference to eliminate false salt warnings. Electrochlor’s diagnostic menu displays the current status of the pool’s essential functions and alarms at any given time, making it easier and quicker for pool technicians and service professionals to do their job. Pool water temperature displayed on an LCD screen. The self-cleaning electrolytic salt cell reverses the polarity of the voltage to clean calcium build-up off its electrodes, extending the product’s lifespan to ensure it operates at maximum efficiency. Battery backup power pack that automatically saves settings in the event of a power outage. Pump protection shuts down the pump whenever water flow is not detected, and then automatically displays the corresponding alarm. Salt alarms automatically reduce the output and displays the corresponding alarm when the salt level in the pool water is too low or too high. It then records a digital time stamp. Electrochlor also monitors the pool’s temperature to eliminate false low salt level readings often attributed to low pool temperatures. The variable speed pump control automatically changes the pump speed at the desired cycle if required. 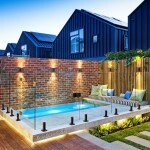 Two dual general power outlets [GPO] are included: one for the pool pump; and another for a pool light or auxiliary device, which need to be operated under a timer. Four independent timers that allow you to control the pump, pool light and auxiliary equipment conveniently from one compact unit. Chlorination production is raised to 100% during a 24-hour period to super-chlorinate the pool, then returns to its pre-set operating condition once completed. The diagnostic menu allows home owners and technicians to quickly assess its operational status and troubleshoot potential issues. The dual-pump control means you can operate an in-floor pool cleaning pump or pressure pool cleaner at the same time as the main pool pump.